On occasion I like to veer away from my first love (placer gold mining) to talk to you about hard-rock mining. Over the years I've known a handful of experienced small-scale placer miners who broke with tradition to become hard-rock or lode miners and one or two of these fine individuals achieved some success at it. So if you're interested in the possibilities, read on. 1) That you've already prospected a certain area and have found a promising looking outcrop, vein, blow out, or abandoned hard-rock operation. What's promising looking mean? That your find contains gold in appreciable enough quantity to warrant the time, effort, labor, and expense it's going to take to develop it. 2) That you have already staked a valid claim, can file one, or have worked out some sort of lease deal with the current claim owner. Common sense here, right? Nothing I'm about to tell you is going to help you if you can't access your find to develop it. One of the good things about being a small-scale guy or gal in this context is that your mining activities are not going to be strictly driven by profit and cost like they would be for commercial or large-scale operations. Now this doesn't mean you don't want to get the gold out of your lode claim and make some money, but what I envision here is approaching things much in the same way you do your placer mining activities. You're doing this primarily because you love gold mining in all its forms and you want a place to go to pursue that love and that dream. If you get some good gold out of that lode then that's just icing on the cake. If you only get a little bit of yellow metal out of that rock, then that's good too because what you will have learned about developing a lode claim is pure gold in and of itself. Warning! I'm NOT speaking here to those of you whose brains are already spinning 'round and 'round with fevered dreams of striking it rich and are considering selling the house, liquidating your savings, and moving the wife and kids to the middle of the desert to make a living at hard-rock mining. 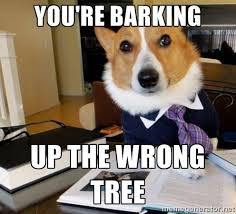 Although the principles I'll expound upon and the tips I'll give you in this series are valid in both the small-scale and commercial mining respects, let me reiterate something that many of you just hate to hear. It's extremely difficult (if not impossible) to make a living at small-scale gold mining (placer or hard-rock) in the Lower 48 states of the United States these days. Ouch! That hurts doesn't it? It may hurt but it's the gospel truth as I've come to know it over the course of time in this small-scale gold mining thing. And yes, I've had my fair share of hard-rock adventures too. I could repeat what I said in the bold type above a hundred times and there will still be those of you out there who just won't (or can't) believe me. So let me put this to you another way. I have nearly four decades of small-scale mining expertise and experience under my belt, and during that entire time I can't name a single person I've met (or remained estranged from) who has made a living strictly from his or her small-scale gold mining activities, lode or placer. This includes the biggest names in the small-scale gold mining and prospecting club communities whom many of you look up to or buy memberships from. Ditto for every dredger, dry washer, high banker, gold sniper, and hard-rock desert rat I've ever come across. (Oh, and by the way. These folks were [or are] highly experienced gold miners, not green-through-the-gills rookies who really don't know their asses from proverbial holes in the ground.) Sure, some of these folks supplemented their incomes with their seasonal gold takes, but the rest of the year they were busy logging, doing commercial fishing, or pulling the Dream Merchant routine by selling equipment and how-to videos to you. That's the REAL truth about small-scale gold mining, whether you care to hear it or not. 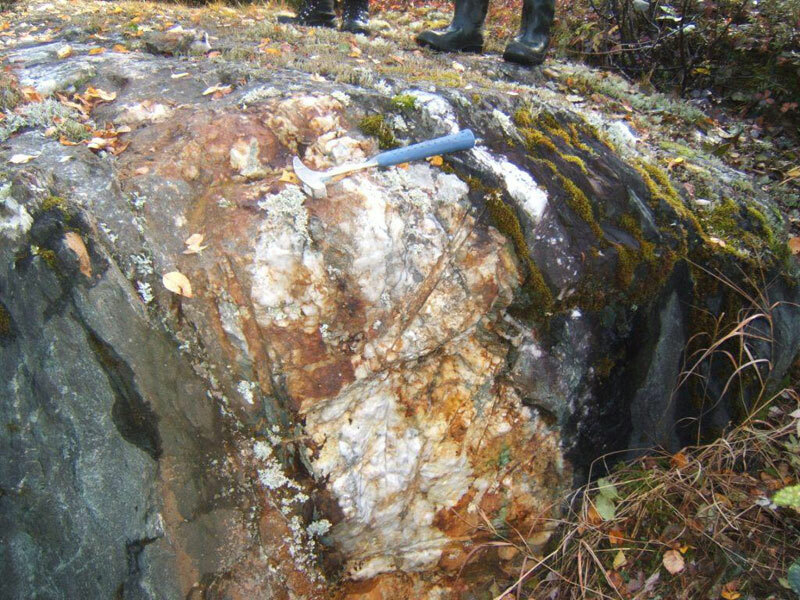 The first thing you want to do here is to take some of that ore you've discovered and have it tested or assayed to find out exactly what metal and mineral constituents it contains and how much of those metals or minerals, on average, are contained in your samples. If your ore is free-milling (i.e., contains visible gold in the host rock or crystalline carrier) you still want to have it assayed for obvious reasons. 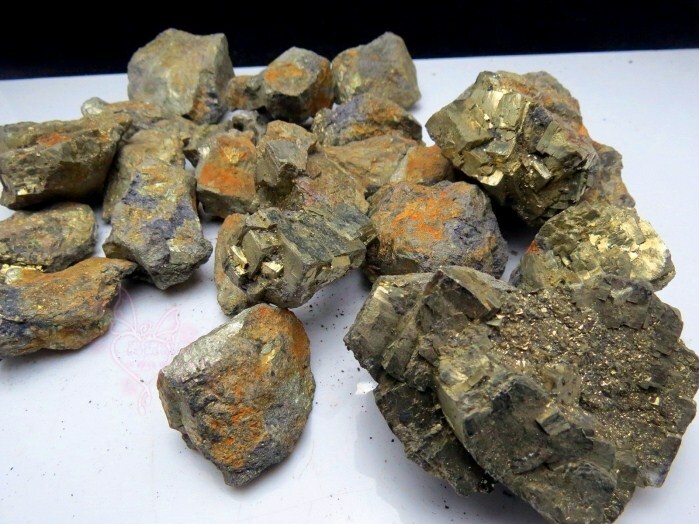 If your ore shows no visible gold but displays signs of heavy mineralization (sulfides, tellurides, oxides, etc.) then you definitely want to get it appraised and analyzed. The bottom line here? 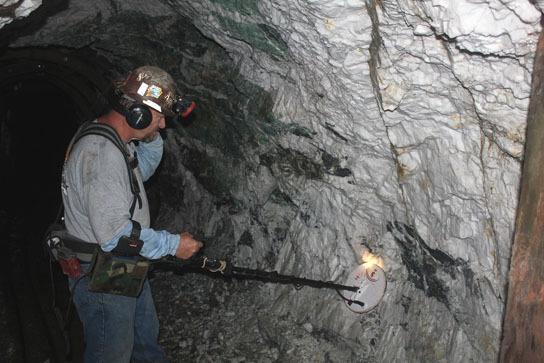 Who wants to swing a miner's pick all day at a rock wall or ledge only to find out there's no (or miniscule amounts of) gold in it? Yes, fire, chemical, or spectrographic ore assays cost money on the front end but they can save you a bundle on the far end. In hard-rock ventures of any scale, you better have a damn good idea of what you're getting into and what that rock is telling you. To ease your burden here somewhat, you'll be pleased to know that there are a number of reputable assayers out there who DON'T charge an arm and a leg for their services. Tip: Get as big a sample assay as is feasible and practical. Like anything else in the sciences, the greater amount of good data you have the more accurate your testing or experimental results are. Basing your mining actions off the results of a single ore sample (or even two or three) is like playing the lottery. You may hit a number or two but in the end the results are going to disappoint you. 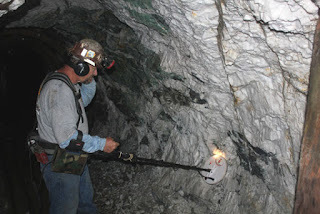 You see, a single piece of ore may assay out at 1.25 troy ounces per ton (damn good, by the way) and another may assay out at 0.006 grams per ton (pack your gear and go home). What you want is a representative average of assay results taken from as broad an area as possible. Then you'll be cooking with gas, one way or another. That should get you started. There's much more to come so stick around and learn something new. Some very good advice here. I tell myself "it's just a hobby." And, a good way to get some serious exercise. It's like a poker game. You have to know when to fold em. Like when it's adversely affecting your life and pocketbook. The other thing to keep in my mind is safety and how my getting hurt will affect others. I look forward to learning more in this series. There is always something to learn from a pro. JR, wouldn't you want it tested before filing a claim? DaggerDan, Hobby is the key word with me as well, yet I wouldn't mind getting rich! That's how it would work in an ideal world for sure Gary. But doesn't always happen that way with the claim holder. If I found something on my own, I'd grab samples and file right away regardless. You can always let a bad claim lapse but if you get beat out on a good one waiting for the right results you'll end up eating your liver. But knowing what's what ahead of time is optimum, as you rightly point out. If you can't crush and pan gold out of the rock, you're wasting your time. You have to have free milling gold to work on a small scale. Treating complex ores is a lot of work and cost a bundle. Drilling and blasting is another problem these days. I personally would never waste the money on an assay. I've never had an assay done either Jim, so I hear you. But there are those out there who may need this info...refractory ores notwithstanding. For the small-scale miner you're right though...free-milling ores are the type to be concerned with.